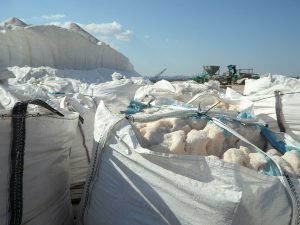 Bulk Bags | Burnaby Bag & Burlap Ltd.
Burnaby Bag & Burlap Ltd. sells bulk bags both standard and UN Certified. 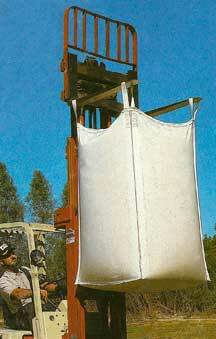 Bulk bags are used by various industries for product shipping, containment, heli-porting and debris handling. Our UN Certified bags are designed to meet United Nations’ IMDG Code for safe handling and transportation of dangerous goods by sea and land. They meet UN code requirements with Safe Working Loads up to 1,500 kg (3,300 lbs) with a 6:1 safety ratio. Size available: 35” x 35” x 52” with 6 mil liner. Duffle top and chute bottom. Please contact us for custom size options.